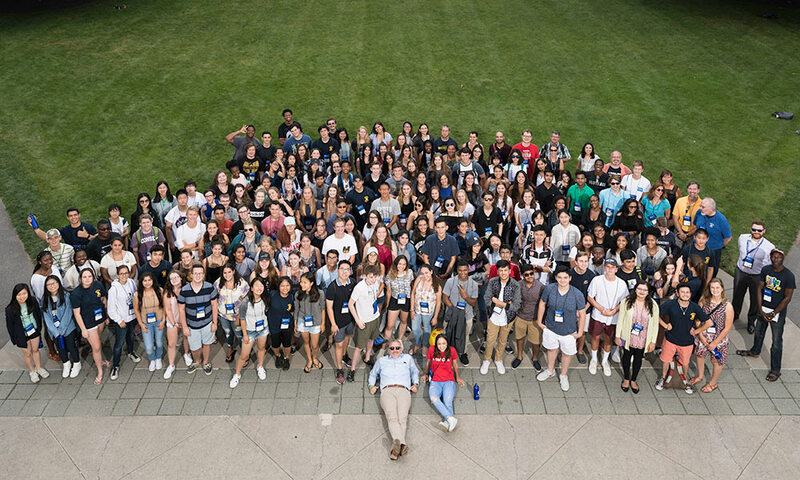 Last week, the University of Rochester hosted more than 200 high school students from around the globe for the sixth annual International Baccalaureate World Student Conference. The University has long had a special relationship to the International Baccalaureate program, a rigorous pre-college educational system emphasizing critical thinking: Rochester was the first university in the Northeast to offer scholarships to students with International Baccalaureate, or IB, diplomas, and about 10 percent of incoming students each year come from IB schools. International Baccalaureate started with one school in Geneva, Switzerland, in 1968 and today is offered in more than 3,400 schools in 150 nations. The University also hosted the world conference in 2015. Last week, students came from nations including Cambodia, China, Egypt, Mozambique, and New Zealand, and states as far away as Oregon, Texas, and Idaho. They explored the theme “Defining and Defying Boundaries” with a broad spectrum of speakers and classes. The keynote speaker was Rochester native John Harris, co-founder and editor in chief of the political news organization Politico. Harris has strong ties to the University. His parents, brother, father-in-law, and sister-in-law all earned degrees from Rochester. Harris’s talk, entitled “Change and continuity in media and politics: A survivor’s guide to the daily madness,” focused on Donald Trump’s rise to the presidency—how it happened, and what the future holds. 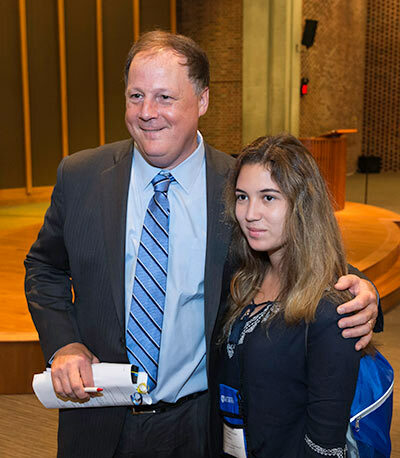 Students asked questions ranging from whether Trump’s strong personality overshadowed his political views to parallels between Trump and Richard Nixon, the only American president to resign. Students were housed in Susan B. Anthony Hall and engaged in social events such as a Rochester Red Wings minor-league baseball game, a trip to Niagara Falls, and a talent show. They had plenty of time to see the River Campus, and at least one has the University of Rochester on her radar.